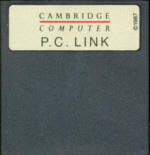 PC Link II is the Cambridge Computer PC link program. 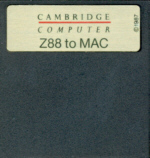 It allows you to transfer files from a Z88 to any true IBM PC based computer as ASCII, or translate them from Pipedream into Wordstar or Lotus 1-2-3. By downloading the correct filters, the Wordstar file may be imported into Microsoft Word. Likewise Microsoft Excel can import Lotus 1-2-3 files for spreadsheets. Alternatively, you can download files from your fixed system as an ASCII file to the Z88, and then translate them into PipeDream as 'Plain Text'. You will receive either one of these ROM packs. They both have the same sofware installed. The PC-LINK USER GUIDE is now out of stock. This is now supplied here and on the CD supplied. * Items required for Eazylink upgrade. The Z88 to PC Lead consists of the moulded 9 way plug that fits into the Z88 correctly and has a 25 way female connector for the PC's COM port (which was the standard connector when the Z88 came out). 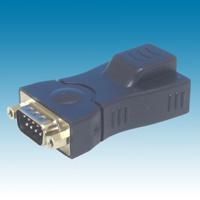 Most computers now have a 9 way plug for the COM.1 serial port. An adapter lead (9-25 way) is also suplied. This is used on the PC end. Some users have been tempted to 'build their own' only to find that the cover that fits over the plug stops the plug from fitting into the Z88 correctly. - or better still just buy this correct cable. No Serial Port on PC? 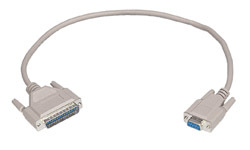 USB Serial Adapter should work, as long as Windows sees it as a serial port you should be OK. The trick is to look up which com port the PC has allocated it to and let the program you are using know which com port it has used! Available on the web. Click here to search on Google. RangerLink 2 is a high performance PC to Z88 file transfer package featuring throughput at four times the speed of PC Link II, multiple file transfers and true data transparency. The PC client end has been re-written to allow faster computers to use this program again. 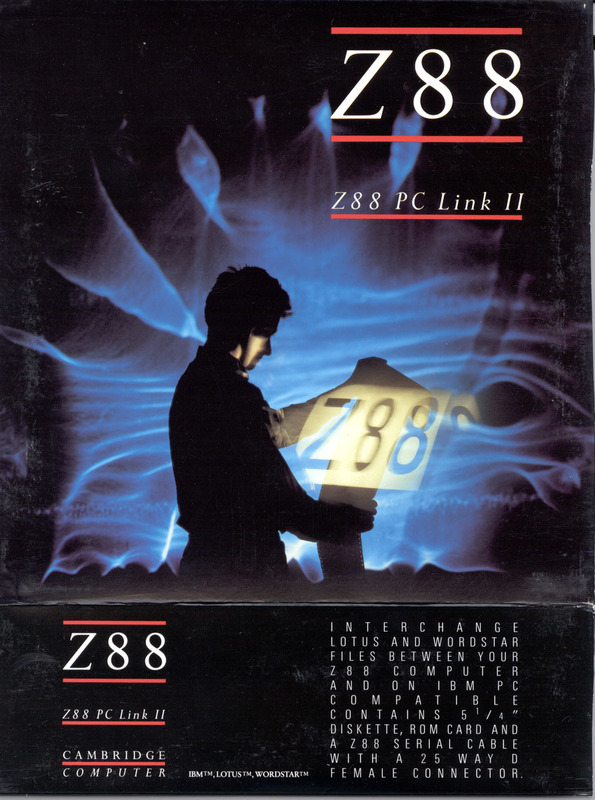 The Z88 computer is often used as an extension of desk-top PC systems, allowing users to take data into the field and to bring back reports, notes and correspondence written "on the move." When used When used in this way, the Z88 offers by far the best combination of size weight and capability for the needs of typical portable computer users, especially when compared with expensive "laptop" computers. Data is usually transferred between PC and Z88 by serial connection, using software on each computer to control the transfer. However, existing transfer packages suffer from slow data rates and can only handle one file at a time. RangerLink addresses these issues by providing a wide range of new facilities, including the ability to mark multiple files or the contents of entire directories for transfer in either direction. or by using the short form <> keystrokes. This program allows selection of device and directory on both the PC and Z88, and files to be copied, renamed or erased. The communication protocol used to communicate between the computers continuously checks for the connection, so that it is not necessary to start the programs in any order. If the RangerLink program is interrupted, for instance in order to use the a different application on either the Z88 or PC, communication is automatically re-established when RangerLink is re-invoked. When file transfer is in progress the Z88 screen shows a display of the file name currently being transferred, the file size, the waiting in the queue. Filenames appear in the destination device window as they are transferred. A useful feature of RangerLink is "Type," which allows a quick look at the contents of any file on the Z88 screen. The original PC program (v3.56) was quite useful if you are using an old PC in DOS (up to a 486) with a small amount of memory. Dennis Gr�ning has now re-written this allowing faster computers to use it and the ability to change the serial ports.